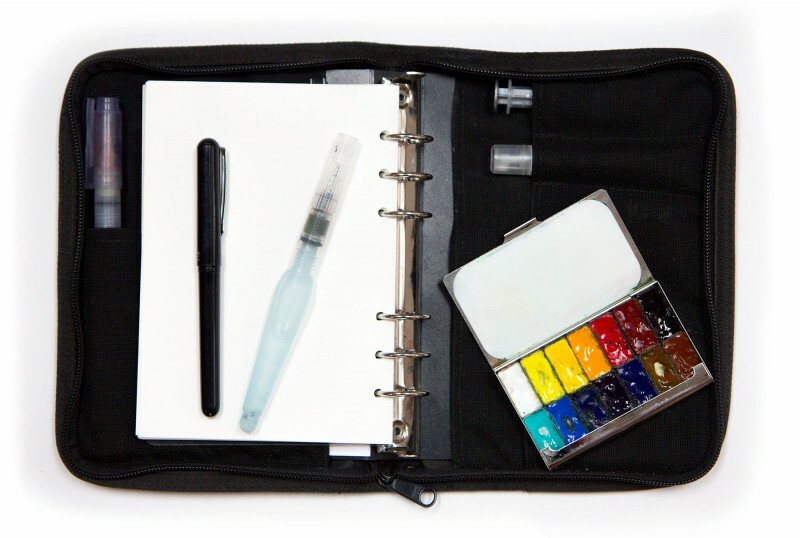 I’m pleased to announce another component for the Art Toolkit sketching system, the Pocket Mister! 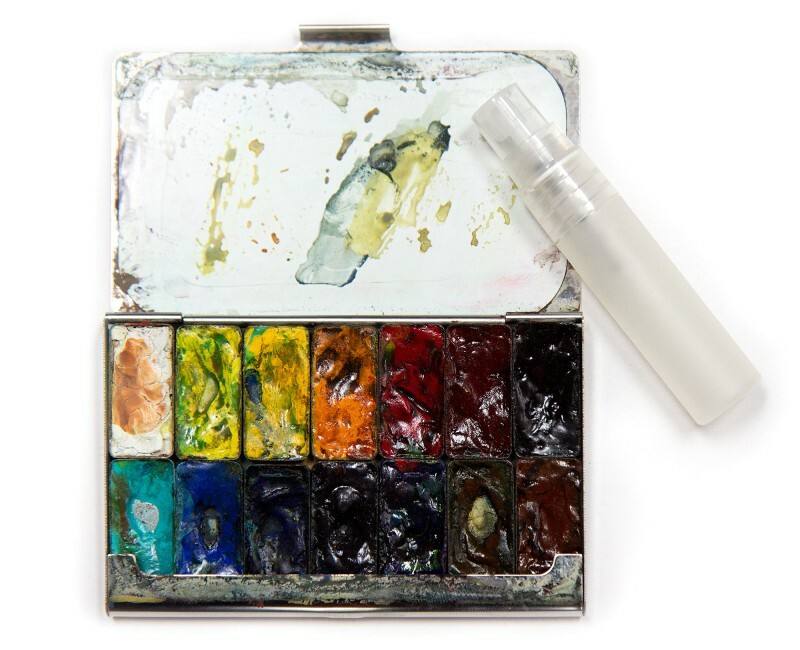 It’s the smallest and best spray bottle I’ve ever found, perfect for pre-wetting your palette, dampening paper, creating watercolor effects, or cooling off on a hot day. All of my palettes (travel and studio) are filled with dried watercolor paint. Using a spray bottle to lightly spritz them before use dampens the pigments for juicier, richer colors. I also like to spritz water on paper, to wet it for painting and to create effects. This tiny mister is easy to carry everywhere, it’s just 3″ long and 1/2″ in diameter (just about the size of lip balm). It even fits perfectly in one of the rear Art Toolkit pockets! Your paintings are so clear, so loaded with feeling they simply take my breath away. The one posted in this newsletter: The house colors are stunning. Thank you, Cathy! I’ll keep your workshop suggestions in mind, too. I always appreciate ideas! Your kit arrived and I am enjoying it so much! Beautifully designed and So well thought out. The mini palette is so slim and useful.